Kovalam it self is a beautiful beach destination. but other than the beaches it has its other attractions too which deserve a visit when you go there. 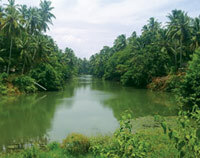 The Karamana river is at a distance of 12 kms from Kovalam. It passes the highway of Thiruvallam. This place is beautiful like a picture with the blue backwaters and the green backdrop. The Thiruvallam sports club on the bank of the river offers boat rides, canoeing and many more. The 35 metre tall structure painted with red and white colour is visible from distance also. 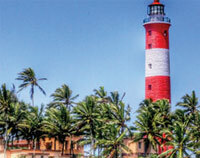 This lighthouse is situated on a hill name Kurumkal and hence the southern tip of the Kovalam beach is also named so. 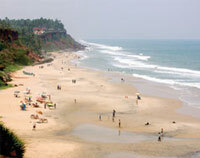 It is open for the tourists as it is one of the main attractions in Kovalam. The path of the lighthouse is ideal for cycling and walks. 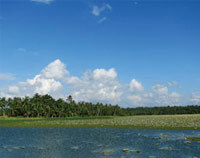 This lake is located seven kilometres away from Kovalam. 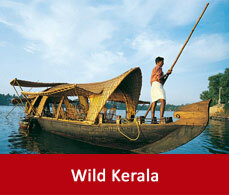 Boat services are also available from Kovalam. You can avail some of the boat tour packages and can take a tour of the Vellayani lake and is a major part of Kovalam tourism. It is one of the lakes in Kerala which looks enchanted in a moonlit night. The famous snake boat race during the Onam festival is held in this lake. The Vellayani Durga temple is near to this lake and one of the speciality of this temple is that they only allow non-Brahmin priests to worship there. 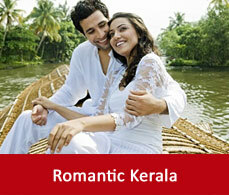 It is 10 kms away from Kovalam. From the pier the coastline of this region is visible which stretches upto Kovalam. The Cheriyathura port is also near by. The Valiyathura also means Big Port. This place is also ideal for watching sunset. It is one of the best place in Kovalam to watch the sun set in the distant horizon. It is located in between the lighthouse beach and the Eve’s beach. Among all the other beaches it is the ideal beach to watch the sunset. You can click some of the best masterpieces which the sun creates with its colours and with the horizon. This art gallery displays the famous paintings, artefacts and art works. All these art works are related to Sanskrit culture. Mainly European and western artists and art lovers come here to experience some of the true masterpieces of arts. 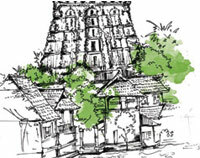 It is located 12 kms from Kovalam. This temple is dedicated to the divine power, Parashurama. 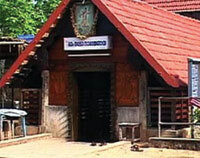 This temple is believed to be 2000 years old and is situated on the banks of Karamana river. 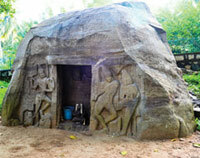 This temple has some of the rock cut sculptures of 18th century. The unfinished sculptures of Lord shiva and Parvathy in the temple are some of the major attractions of Kovalam sightseeing places. 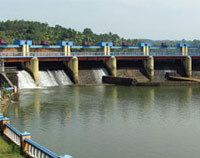 This dam is located 10kms away from Kovalam. 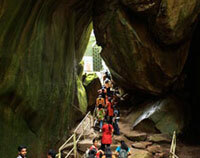 It is on the banks of the Karamana river and is a beautiful picnic spot. the main attractions of this shore is the fish tank and the durga temple. It supplies water to the city and is easily accessible by roads. It is close to Kovalam. The major tourist attractions here are the beaches, Sivagiri monastery, the 2000 year old Janardhana temple which is one of the most important Hindu pilgrimage centre. It is one of the famous of the Kovalam beach Kerala. To the 90kms east of Kovalam exists Cape Comorin. 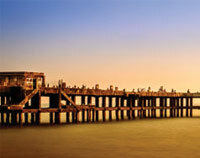 Kanyakumari or Cape Comorin is located to the southern most tip of India. It is one of the famous places to visit in Kanyakumari as the Bay of Bengal, the Arabian Sea and the Indian Ocean meet here. 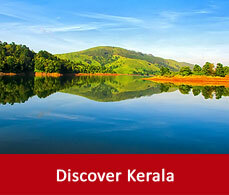 As on of the best places in Kerala people come here to experience the spectacular sunrise and sunset. 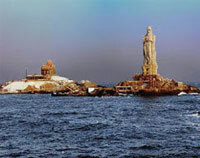 The other major tourist destinations near to Kanyakumari are Gandhi Smarak Mandir, Kanyakumari temple and VIvekananda rock.